A little fun in the field this week. I’ve been playing with an ad campaign for a squeeze page and thought I’d share what I’m doing. A friend and client asked for help on an ad to place in a large national website’s “classified ads” page. Here’s how we’re breaking it down. Before you write the ad, you need the squeeze page the ad will lead to. A squeeze page is a page made for the purpose of collecting email addresses. In a pure squeeze page you don’t have any other way out (except for the web form where the reader opts in to a list, or the back button in the browser. So the viewer is literally “squeezed” into making a decision. Yes: opt in, or No: close the window or go back where they came from. 1. Content-rich, written with an open loop. 2. Copy-intense: more persuasive, direct response style writing. In the first case, I write content, an article on a subject that will make the reader want to learn more. You can do the same thing by writing an article or making a video explaining something of interest or solving an immediate problem for the reader. But you must keep an open loop. You mustn’t exhaust the subject. That’s very important. You always have to leave something out, something important but that you obviously didn’t get around to talking about. It’s the next part of the subject that needs to be discussed. Maybe you only provide a partial list of possible solutions and then you ask the reader to opt in for a free report that covers the rest of them. For example, “How to command your audience’s attention within 10 seconds of your speech.” Once you tell how, then you offer to show them how to keep their audience’s attention through the rest of the talk. Your reader sees you as an expert on the subject and will (hopefully) opt in to get the rest of your speaking tips. Still another way to use content on a squeeze page would be to cover one subject and then tell the reader there are other complementary topics she might enjoy. Let’s say your article is on “The ten steps leading to a great webinar.” At the end of the article, you would add, “If you enjoyed this article, get “Ten resources for webinar success,” or “Get 30% more leads from your webinar.” Based on the knowledge you just shared about the prep-work for a webinar — hinting at all the benefits of hold a successful one — your reader would opt in for more information from you on the subject. There are so many ways to use content creatively to entice interest and build your list. You can probably think of many more, once you get started applying these ideas to your own industry. The second way to encourage someone to opt in is more of a copywriting, direct response-style option. In this case, you’d include copywriting elements that encourage the reader to take action using testimonials, social proof, security, survival, authority, scarcity, or any of the other powerful influencers on human psyche. This style works best with a strong voice of authority, or a personal story the author tells about his or her own offer. You can cover a lot of ground this way, and really bring the reader into your mission, your community or tribe. Information providers apply this style of copywriting well because through it, they can be warmly and personally persuasive. You can write a longer page, or, using bullet points and a short summary of the benefits, keep the page clean and clutter-free. Either style results in the invitation to download or register for the free gift, your opt in offer. The next step is to create a short ad leading someone to the page. For an average PPC ad, let’s just assume you are limited to about the length of a tweet, 140 characters, give or take. A typical Classified ad, Facebook ad, Google Ad or Tweet all have about the same restrictions. For the first, content-heavy article style of squeeze page, it works best to describe the content of the squeeze page directly. The opt in at the end actually comes as a surprise benefit of reading the article all the way through. Your reader isn’t really surprised, but if the content is good, entertaining, relevant, and helpful, the reader will probably play along and opt in. This is why it’s important to include compelling content writing with some flair and promise…not just some soulless, dry article. You are laying the groundwork for a small decision to be made. People don’t say “yes or no” to a faceless, boring string of words. People say it to a person, and they say it to themselves. Make sure your content is infused with personality. In the case of the direct response style squeeze page, where the opt in is the actually to download the free report “The ten steps leading to a great webinar,” you would go a different route. In this case, the opt in is the content. It is the promise you are asking the reader to trust you to provide, if they give you their email address. So you need to go at this from a different angle. Your ad should not promise the “ten steps” directly, but point the reader to an honest discussion about the benefits of holding webinars in general. Like “Why you need to plan a webinar that rocks their client’s world,” “The benefits of an awesome webinar” or “How lead-generating webinars help your grow your network and boost your industry clout.” Then when your reader clicks on the ad and arrives on the page, your copy does the rest. The only obvious action is to find out how to hold a great webinar yourself. Breaking down the ad and the squeeze page into a natural sequence of events will improve the chance that your reader will opt in. 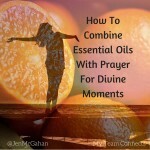 If you’re not sure if that connection is naturally received by a reader, please get an unbiased friend or colleague to walk through the sequence and give you their opinion. Of course I’m happy to have a look, too. Fresh eyes on your content and copy will help you hone your message and touch the hearts of your best future clients. 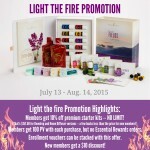 2015 Light the Fire Young Living Promotion On NOW!